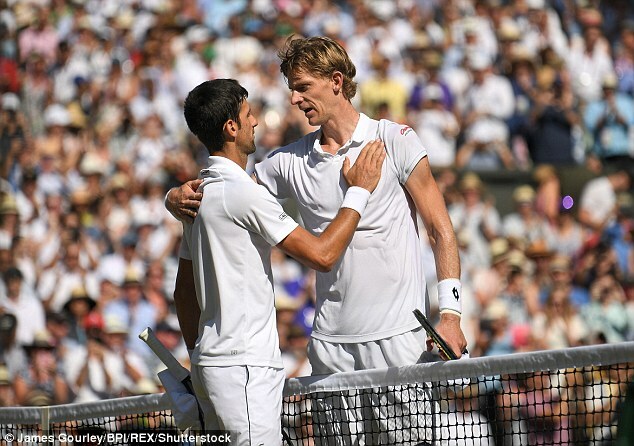 Novak Djokovic completed his rehabilitation among tennis’s true elite when he blew away Kevin Anderson to claim his fourth Wimbledon title. 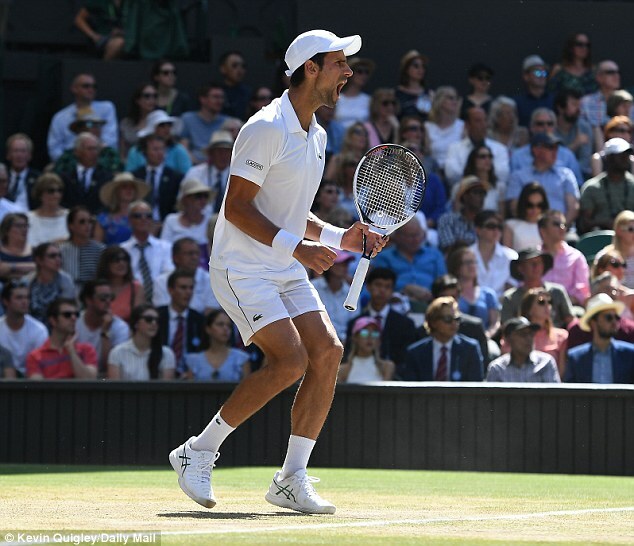 In what was a straight sets men’s final for the third year running – featuring a multiple champion against a first time finalist – the 31 year-old Serb defeated an often tired looking opponent 6-2 6-2 7-6(3) in two hours and 19 minutes. 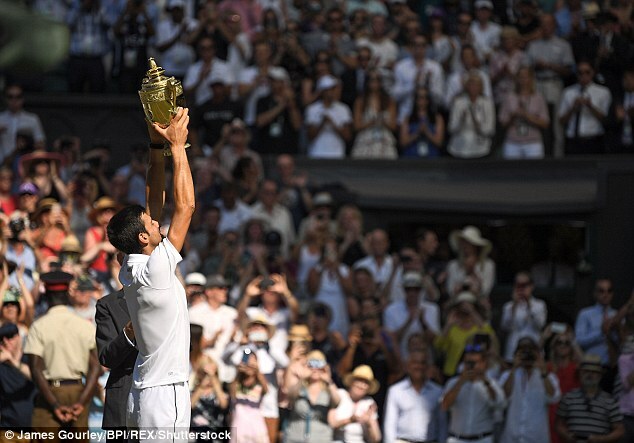 It means that becoming the Wimbledon winner remains the most closed shop in tennis. Going back to Lleyton Hewitt in 2002 only four players have held the men’s singles trophy – Roger Federer, Djokovic, Rafael Nadal and Andy Murray. 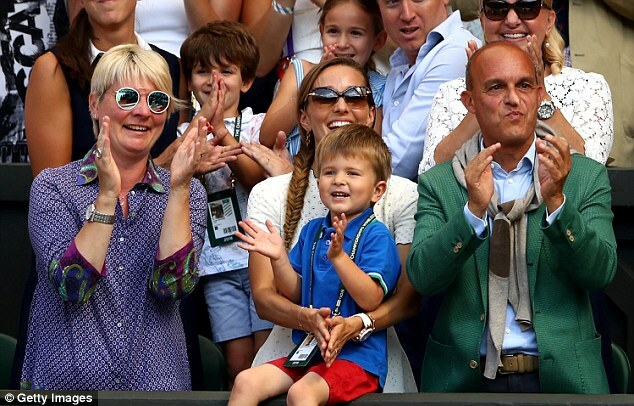 ‘It feels amazing because for the first time in my life I have someone screaming Daddy,’ said Djokovic, referring to his son Stefan up in the player box. ‘I can’t be happier. Today being Kevin’s first Wimbledon he didn’t play his best in the first two sets but in the third he was the better player. Anderson, who rises to World No 5 as a result of his terrific two weeks at SW19, mounted a spirited third set fightback when all had looked lost, and the former World No 1 had needed to save five set points, having his temper stretched to breaking points on occasions when he demanded that the crowd ‘shut the f### up’ during one rally. 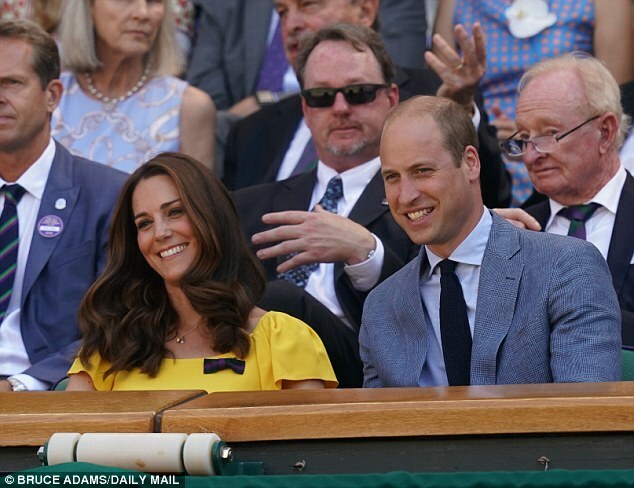 He clung on to take it into a third set tiebreak which he claimed 7-3, sparking a relatively restrained celebration. 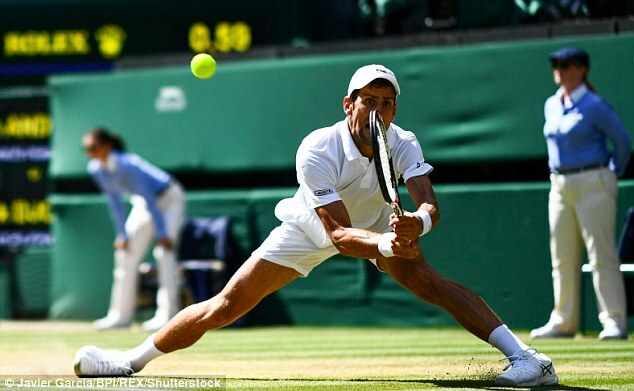 It has been a remarkable year for Djokovic, who as recently as late March looked all at sea and lacking motivation, unlike this last fortnight. 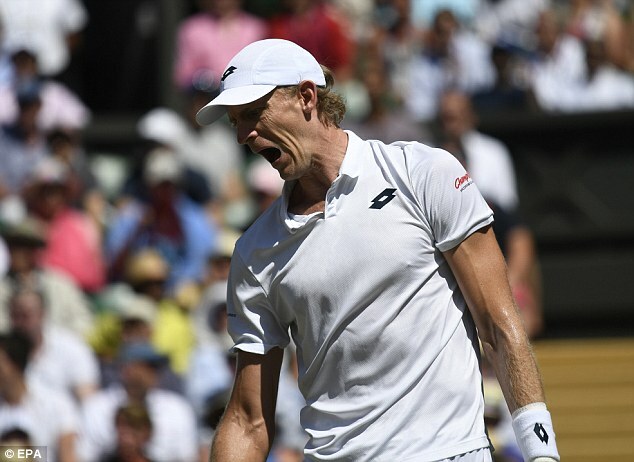 The big question was always going to be who had emerged from their semis in the best physical shape, with the most significant doubt being over Anderson after his six hours 35 minute epic against John Isner. 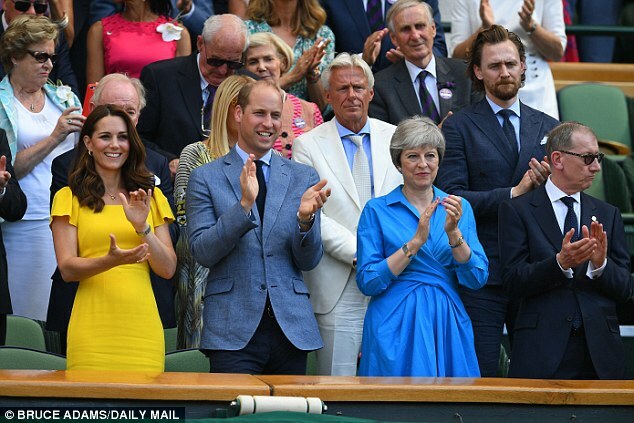 On another day when the temperatures went over 30 degrees, and in front of an A-list Royal Box that included the Prime Minister and her husband, the answer quickly appeared to be the South African. He had to start well, but in his opening service game at 30-30 he hit a wild forehand long and then double faulted to cede the initiative. 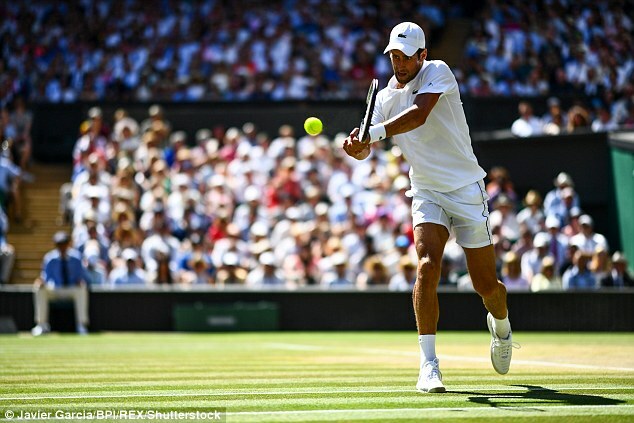 Djokovic looked onctrastingly sharp, and underlined his credentials as one of the best returners of serve the sport has ever seen. He loves rhythm and Anderson had no way of throwing him off, also contributing far too many unforced errors. 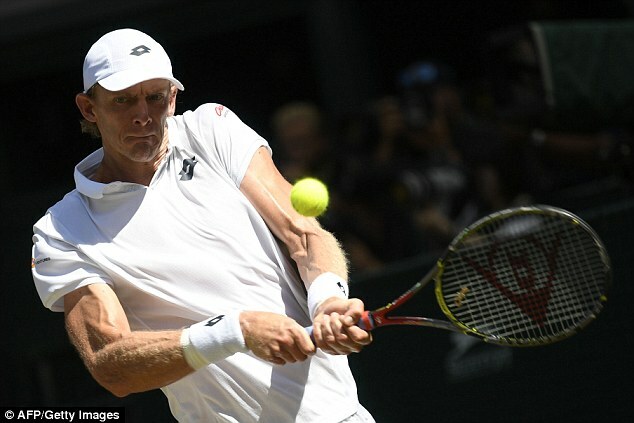 He suffered two breaks in each of the first two sets to leave himself with too much to do, especially as there appeared to be issues with his elbow, which was treated at the end of the first set. 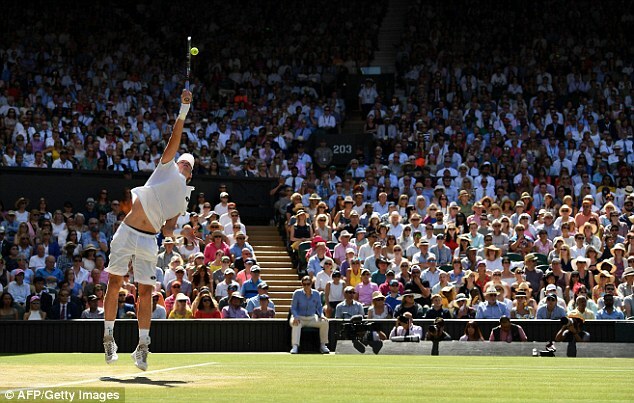 His one chink of light in the first two was when he forced a break point when Djokovic served for it at 5-2. In the third set, however, he fired up into life and forced a break point at 4-3, which was missed with a forehand long. 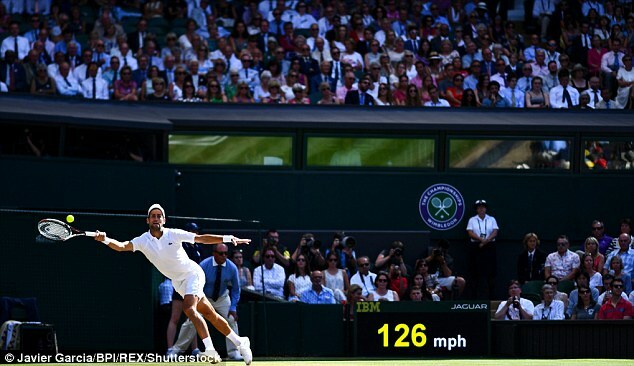 After two double faults from Djokovic he then had two set points at 5-4, against missing with a forehand long. 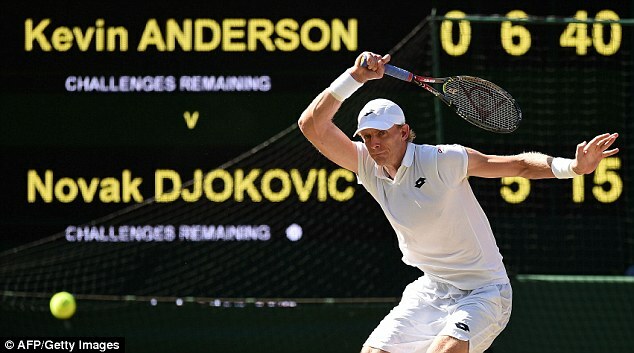 The crowd thought Anderson had clinched the set when Djokovic landed a ball on the line and roared, mid-rally, promoting Djokovic to protest to the umpire saying ‘Shut the F*** up’. The twelfth game was even hairier, with the Serb needing to produce high quality serves and forehands on the big points as the giant South African created three more set points. 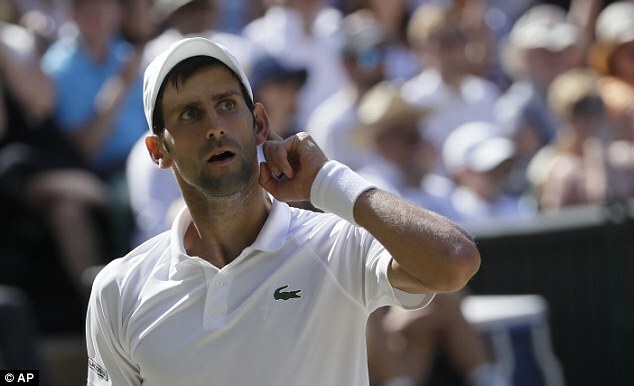 Increasingly agitated, Djokovic blew a kiss to someone who drew his ire in the crowd. In the tiebreak Anderson paid heavily for two ill-judged forays to the net that were repelled, seeing him go 4-1 down, and there was no way back from there.